Can a form use a drop down with USA and other as the choices and when other is selected, have the vistor forwarded to a rejection page? Can a form use a radio button and with the specific selection, key a different email address? Yes, that's possible using Conditional Logic feature to have the vistor forwarded to a rejection page. 2. 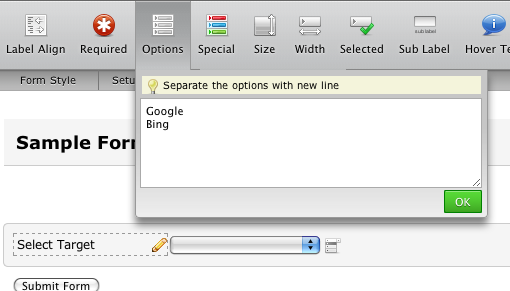 On the "Setup & Share" toolbar, click on "Condition" button. 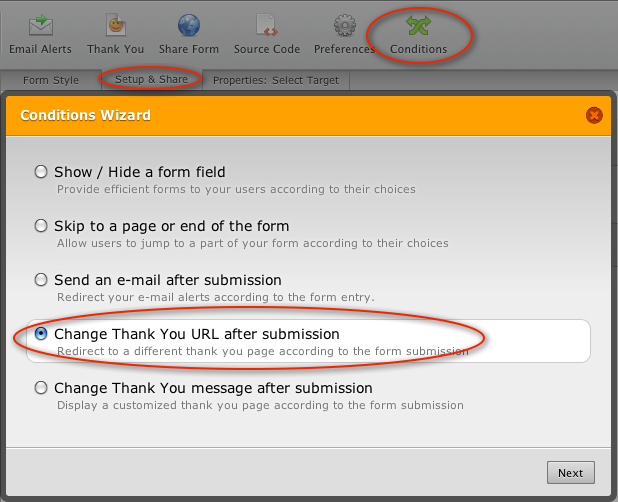 Then select " Change Thank You URL after submission" option. I hope this information will be helpful to you. Should you need further support lets know. On behalf of my colleague, you're welcome! If you need our help again, please don't hesitate to contact us anytime.